Taste of Power, a real-time strategy game from OneOcean LLC arrived on Steam back in December in Early Access, I took a look. As a huge RTS game fan, I simply couldn't pass up the chance to try out Taste of Power. Set in an alternate medieval timeline, the developers claimed it offers a mix of gameplay mechanics found in "mechanics of StarCraft and Total War" and so it sounded quite exciting. A pretty bold claim, one it sadly doesn't really live up to in any way—yet. It's rough, very rough. I don't want to be too harsh on it, considering it is an Early Access game that shows some promise. There's a lot they need to work on here. The interface is cramped, cluttered and slightly confusing, the English text needs some serious proofing and so on. There's elements I do like though, the city building system for one is interesting. Instead of sending people off building anywhere you like, you send off a settler to build a new city somewhere else so the expansion system is a little like Starcraft so I get what they're saying. When you take the group combat found in Total War too, their description of what to expect is close enough. There's plenty of weirdness too, like dragging a box to select units moving with the camera instead of staying in place, which makes selecting larger armies a real nuisance. When moving around, especially during battles you can clearly see units sliding instead of turning properly, while not major it doesn't look good. 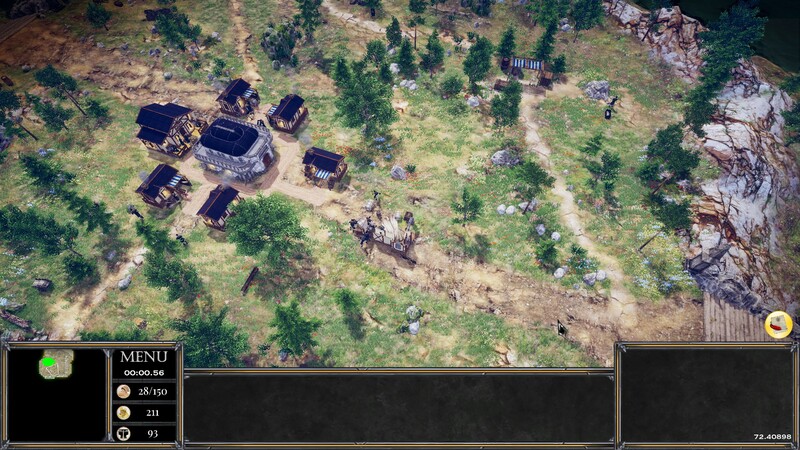 When you tell units to move, the position indicator is slightly off from where you click too (same with clicking the mini-map). Too many niggling issues like that, it's just very unpolished. A diamond in the rough perhaps? It has a good overall style to it and I can see what they're going for as a big RTS fan, it just needs a lot more time in the oven. 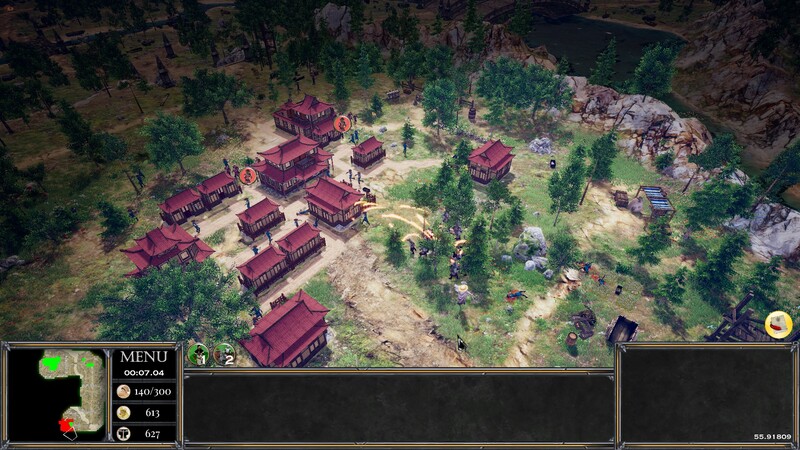 Graphically with the units, buildings and the environment actually seems pretty good so it does tick that box. Find it on Steam, it has a demo too. Starcraft and Total War mixed? SCII? Yes! Total War? Please, no! cRaZy-bisCuiT SCII? Yes! Total War? Please, no! You made a mistake : SCII ? NO ! Total War ? YES ! We do have tons oft Total War but no competitive eSport SCII/WC3 like RTS. Got my point? 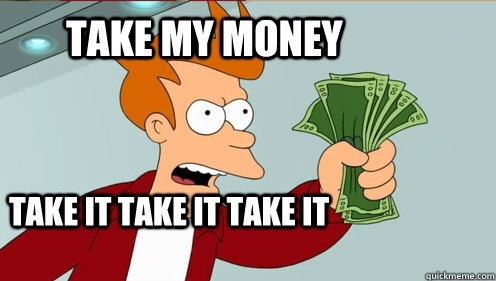 I was eagerly waiting for Ashes of the Singularity. Unfortunately I don't like that game at all - Proton made me discovering that. cRaZy-bisCuiT I was eagerly waiting for Ashes of the Singularity. Unfortunately I don't like that game at all - Proton made me discovering that. Still playing SupComFA via Proton, undefeated game so far and by far, to my taste. PA Titans is bad, GUI is incomplete, and potatoïdes maps are a bad good idea, making the whole "solar system scale" worthless as you cannot see the full battle ground at once, and everything seem claustrophobic anyway.